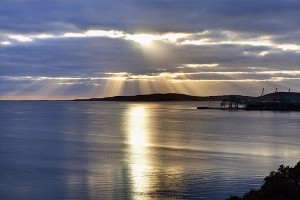 Uncover the wonders of South Australia on an adventure that showcases wonders tracing from the city of Adelaide to the waters of Port Lincoln. 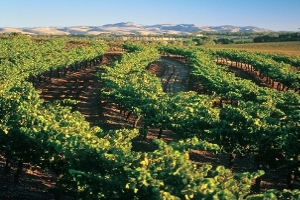 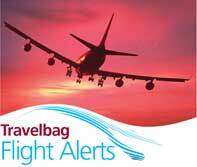 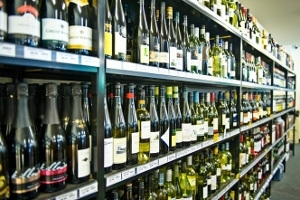 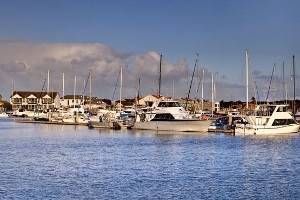 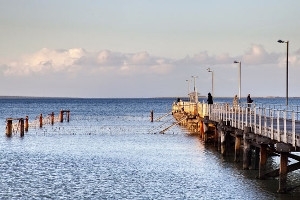 Spend a day getting acquainted with the landmarks of Adelaide before delving into the Eyre Peninsula for a 3 day stay in Port Lincoln, where visitors can experience everything from swimming with sea lions and cage diving with great white sharks to tours all along the Coffin Bay area and beyond, courtesy of Goin’ Off Safaris. 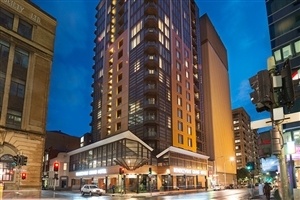 Situated deep within the centre of Adelaide’s renowned central business district, the Peppers Waymouth Hotel sits conveniently close to several city highlights and hotspots, from the shopping outlets and dining venues peppered throughout the district to the corporate offices and local landmarks that attract people the world over, making this the perfect establishment for guests looking to explore the vibrant streets of this illustrious city. 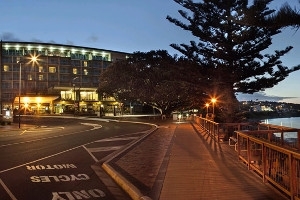 Featuring a total of 201 elegantly designed accommodations, the hotel strives to provide a heavenly setting where guests can ease back and enjoy the many sights and sounds of one of Australia’s most popular cities while also basking in complete comfort, and with such a wide range of facilities as well as an exquisite in-house eatery on hand, the hotel achieves this in spades. 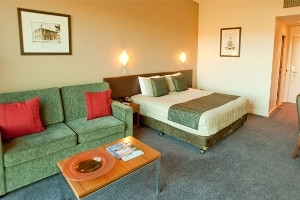 The Guest Room King offers guests a stylish, comfortable accommodation filled with plush furnishings and quality amenities to suit any travellers’ needs. 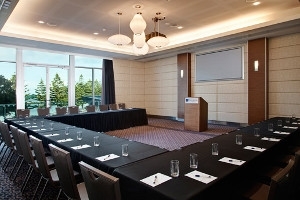 The room boasts great views that look out over the cityscape. 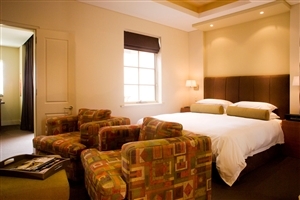 The Guest Room Twin offers guests a stylish, comfortable accommodation filled with plush furnishings and quality amenities to suit any travellers’ needs. 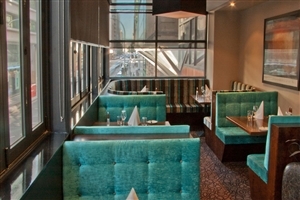 The room boasts great views that look out over the cityscape. 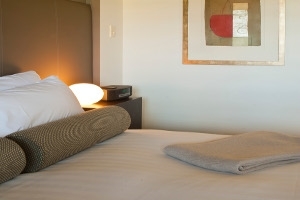 The Accessible Guest Room offers guests a convenient accommodation fitted with plush furnishings and quality amenities that provide easy access, such as handle rails and roll-in facilities. 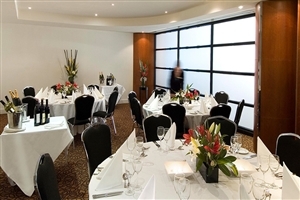 The room boasts great views that look out over the cityscape. 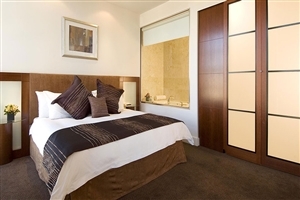 The Deluxe Room King offers guests a spacious accommodation that along with a stylish decor features a myriad of modern amenities and lavish furnishings to accompany the gorgeous city views as seen from the private balcony. 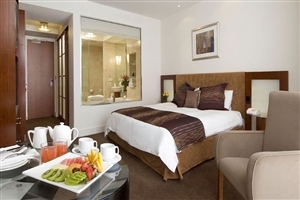 The Deluxe Suite King with Spa offers guests a stylish accommodation beautifully designed with plenty of comfortable furnishings and numerous amenities. 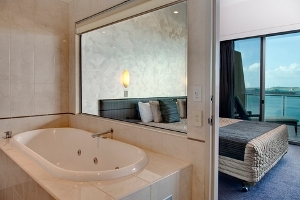 The suite features an additional spa bath and a private balcony that boasts city views. 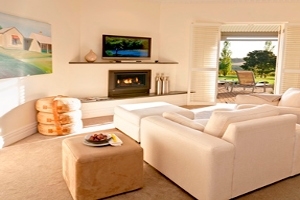 The Master Suite King offers guests an opulent accommodation fully fitted with lavish furnishings and quality amenities in a spacious setting of pure, modern bliss. 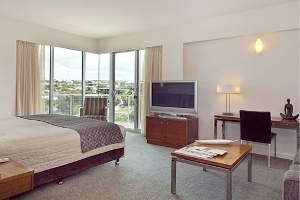 The suite features an additional lounge and dining area while boasting amazing city views as seen from the private balcony. 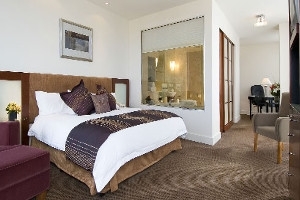 The Mattioli Suite King offers guests a palatial accommodation that focuses on providing a world of comfort and style in a spacious setting filled to the brim with quality. 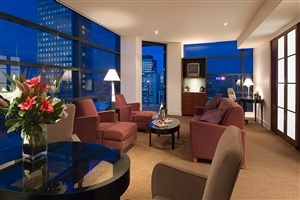 The suite features an additional lounge and dining area while boasting amazing city views as seen from the private balcony. 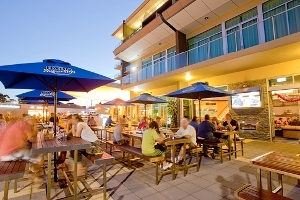 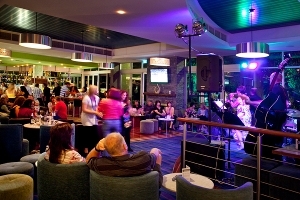 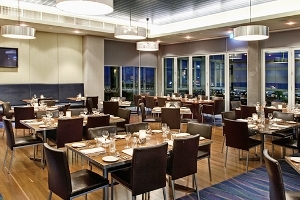 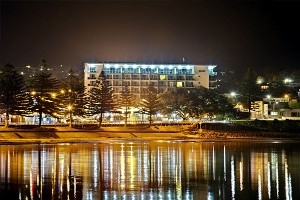 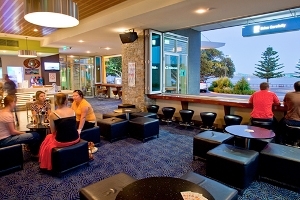 Located at the southern tip of Australia’s gorgeous Eyre Peninsula, the Port Lincoln Hotel stands as a stylish holiday destination looking out over Boston Bay, a place where travellers from all over can sit back and enjoy the fantastic views, delicious flavours and unforgettable experiences of South Australia embraced by comfort and style. 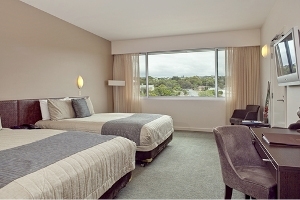 Aimed at providing the best level of service for both leisure and business travellers, the hotel hosts 111 guestrooms and suites, all designed with space and contemporary comforts in mind at an affordable price so guests can enjoy their time spent exploring without breaking the bank. 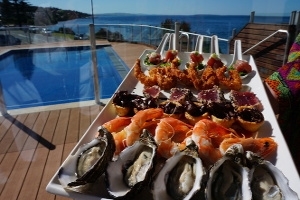 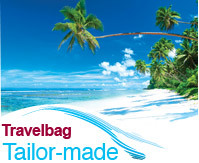 With a number of facilities and an exquisite dining venue situated in-house, travellers are in for a treat with this fantastic Australian haven. 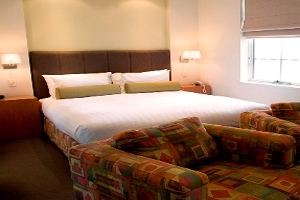 The Town View Room offers guests a comfortable accommodation at an affordable price, presenting a modern, elegant room that serves as the perfect place for short stays or business travellers. 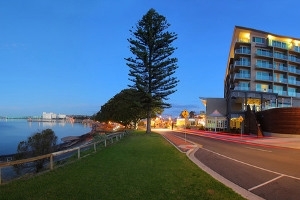 The Ocean View Balcony Room offers guests a spacious accommodation fitted with plush furnishings and quality amenities throughout, which when accompanied with the private balcony that boasts of Boston Bay simply sets the tone for a fantastic, comfortable stay. 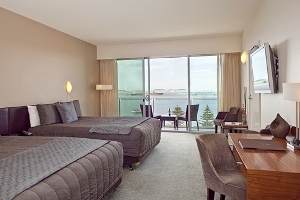 The Deluxe Spa Suite offers guests a corner accommodation filled with top quality amenities and lavish furnishings to create a setting of bliss, while the additional balcony that overlooks the town of Port Lincoln or Boston Bay is the proverbial cherry on this luxurious setting. 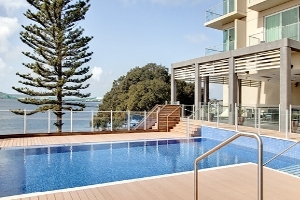 The Luxury Ocean View Balcony Suite offers guests a top floor accommodation that comes with plenty of additions to accompany the plush furnishings, stylish decor and myriad of comforts, such as the large living space, a dining table and a private balcony that showcases views of Boston Bay. 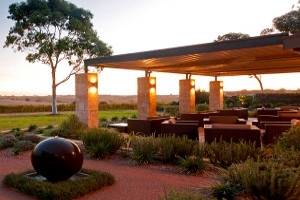 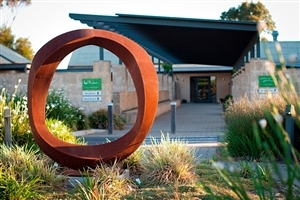 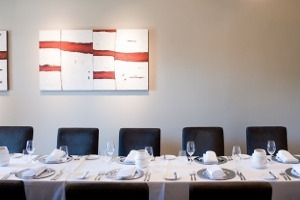 Situated deep amidst the undulating hills of the Barossa Valley, The Louise is a warm, welcoming hotel elegantly designed to emphasise the surrounding splendour, with inspired decor matching spacious settings to ensure satisfaction for any and all guests. 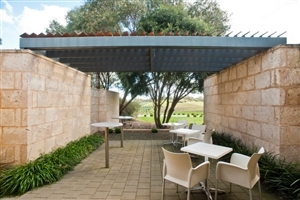 The hotel is an ideal hub for guests to explore the cultural landscape, where verdant vineyards and roving hillsides come together to create a peaceful haven, far from the bustle of the urban lifestyle, where travellers can discover the local flora and fauna or watch the sunrise on a picnic adventure. 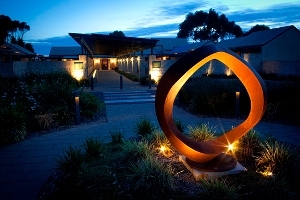 Alternatively, the hotel provides just as much wonder as the valley itself for those looking to ease back and revel in their private haven, with the establishment hosting an exquisite dining venue, plenty of fun or soothing facilities and a choice of suites that set the tone for a memorable vacation in Southern Australia. 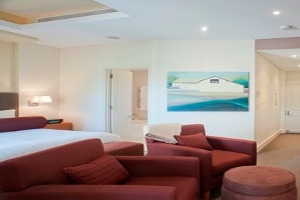 The Seppeltsfield Suite offers guests 100sqm of accommodation space elegantly designed with deluxe furnishings and quality amenities that range from a private sunset terrace and gated courtyard to a writing desk and additional breakfast tables. 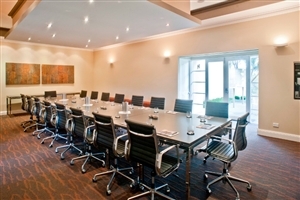 The Stonewell Suite offers guests 100sqm of accommodation space beautifully styled with indulgent amenities, modern furnishings and elegant decor, all complimented by a number of additions such as a private terrace and courtyard along with a writing desk and additional breakfast tables. 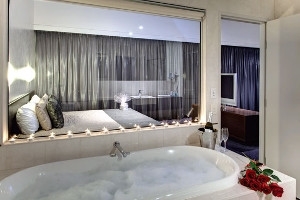 The One Bedroom Vineyard Suite offers guests 130sqm of accommodation space fully fitted with a number of plush comforts and lavish designs along with plenty of opulent additions specific to this category only, such as a private water feature, additional sunning lounges and a comfortable lounge, all fitted in a generously spacious setting of sheer bliss. 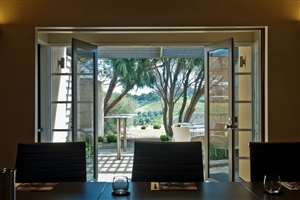 The Two Bedroom Vineyard Suite offers guests 185sqm of accommodation space that serves as an idyllic haven for travelling friends or couples due to the excess space and luxury, from the additional shared lounge space to the dining area and beyond. 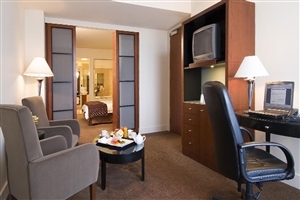 This suite is suitable for up to 4 adults.